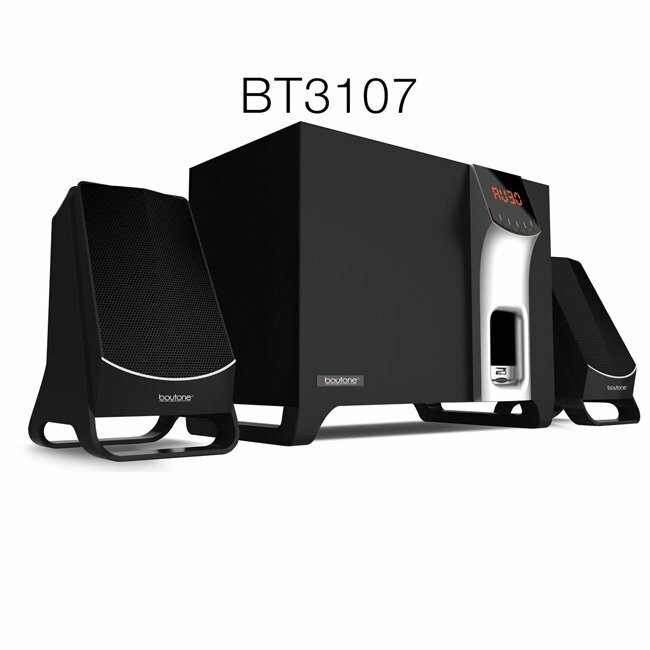 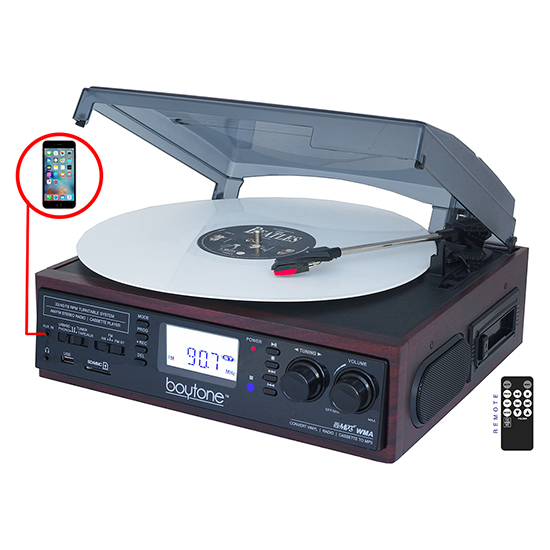 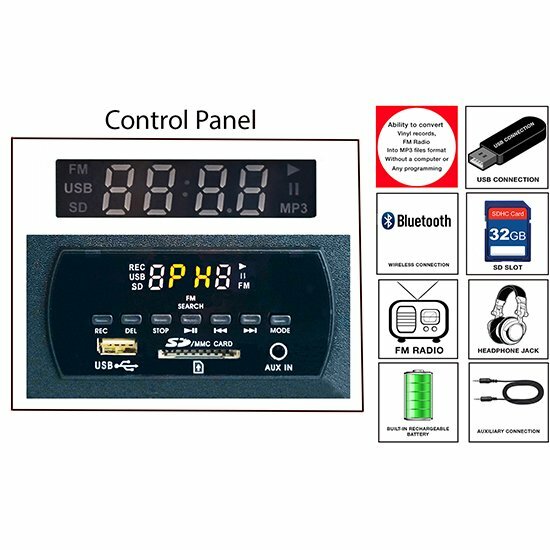 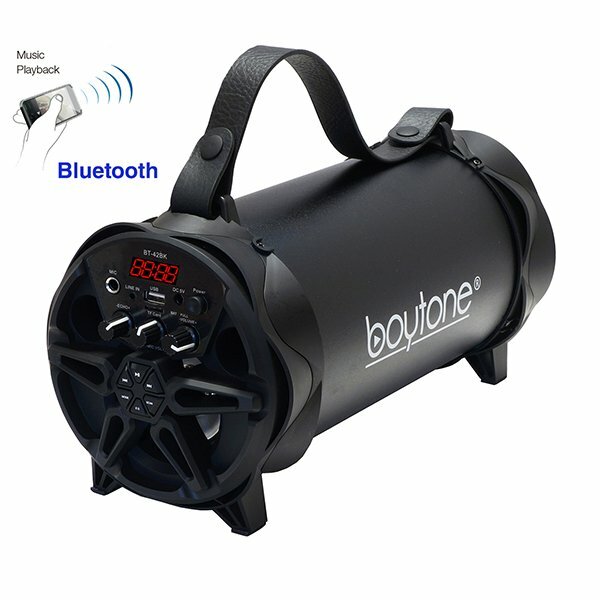 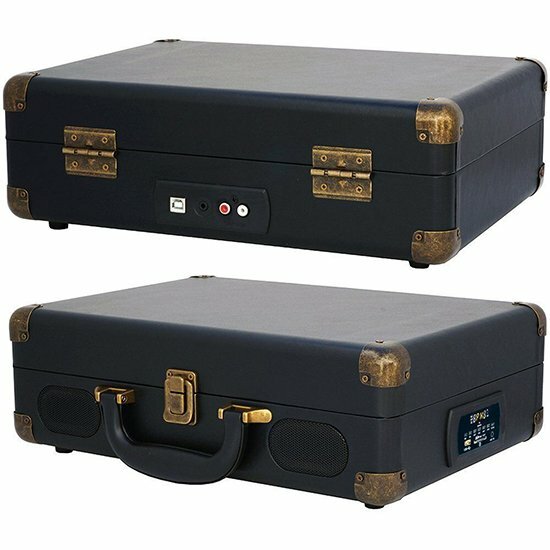 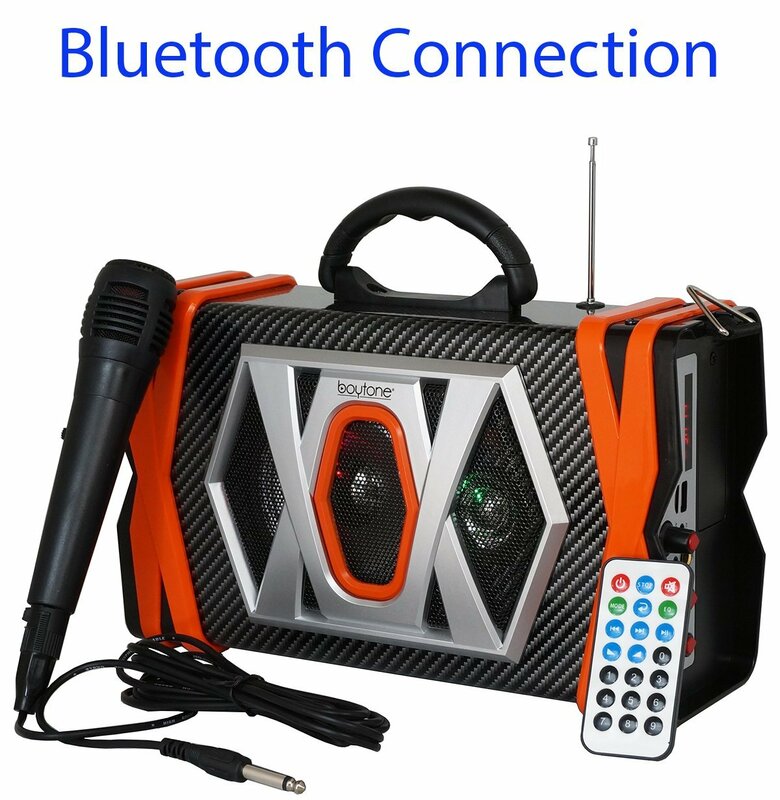 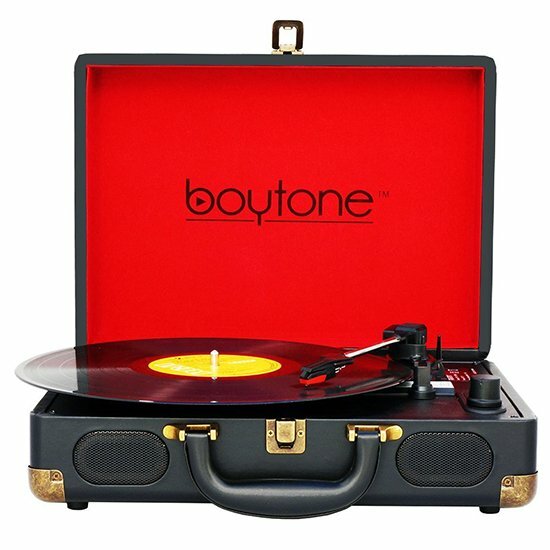 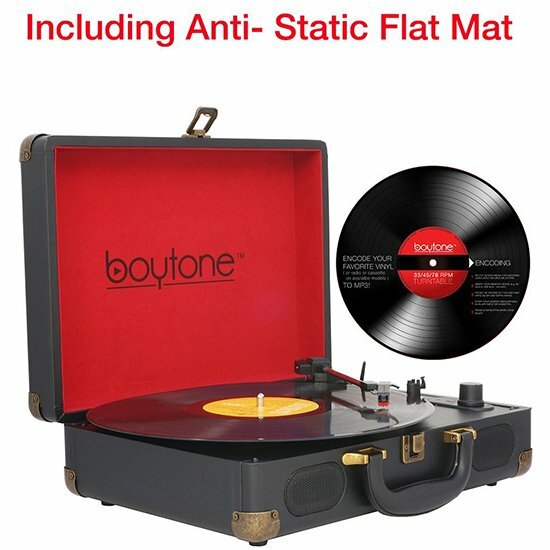 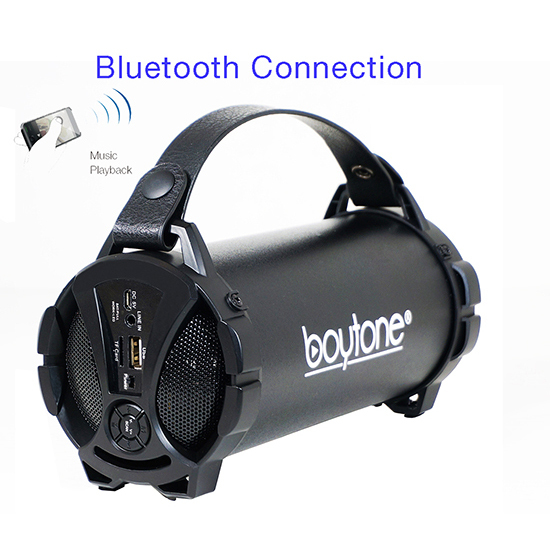 Boytone BT-101B Bluetooth Turntable Briefcase Record player AC-DC, Built in Rechargeable Battery, 2 Stereo Speakers 3-speed, LCD Display, FM Radio, USB/SD Slot, AUX / MP3, Encoding, 110 To 220 Volt. 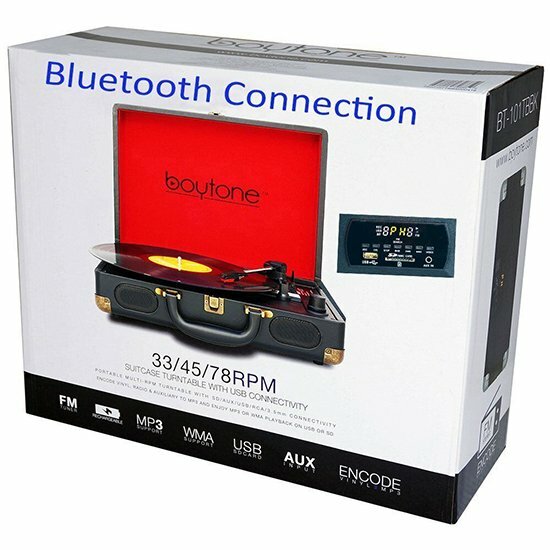 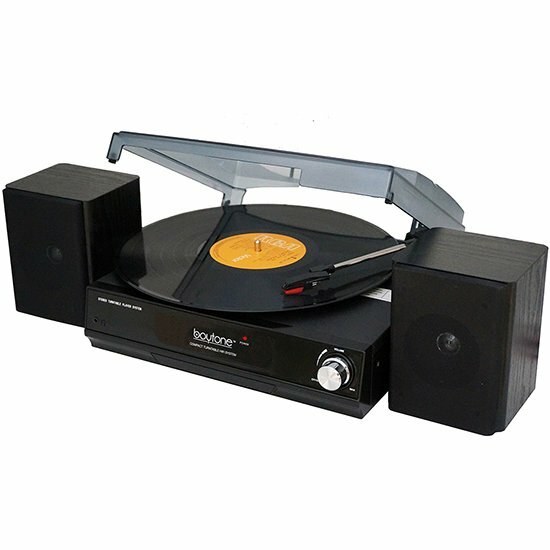 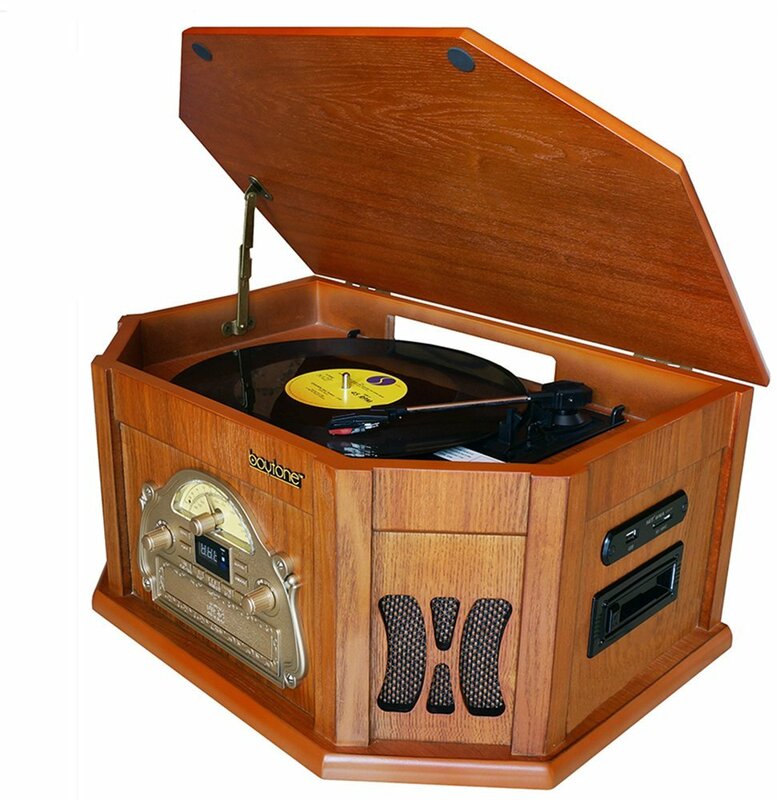 Ability to convert vinyl records, Cassette AM/FM Radio into MP3 files format without a computer or any programing - Save your music. 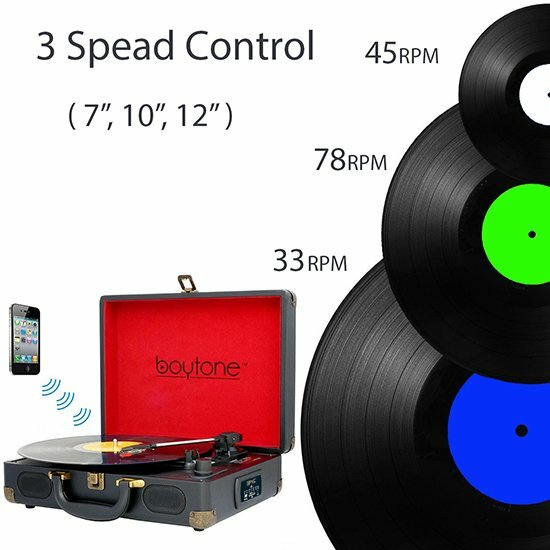 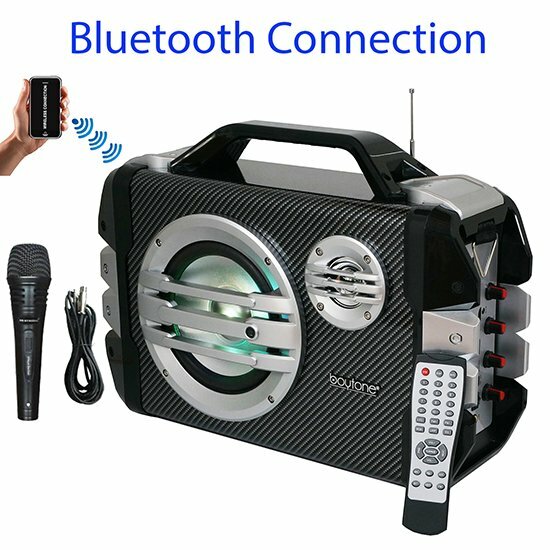 6 in 1, Bluetooth suitcase turntable record player 3 Speed Selectable (33/45/78 RPM) speeds settings, Digital Read Out FM Radio, Belt Driven Turntable Mechanism, Automatic Stop Switch.